The very first “Inspired Messenger” honors an amazing woman who personifies Unconditional Love and Practicing Random Acts of Kindness. Olga María Czarkowski is an independent publicist and international PR specialist, working with industry leaders in fashion, media, and entertainment as well as nonprofits focusing on social issues facing women and poverty stricken communities. A fashionista, reporter/writer, model/stylist, and community developer, with 5+ years of experience in NYC media and PR, Olga works with English and Spanish personalities, companies, and NGOs including famed designer Ola Hawatmeh of Ola Style, celebrity hair stylist/make-up artist Carlos Otero, internationally recognized Couture Fashion Week and NYC Fashion Runway, media outlets My Lifestyle Magazine, Eventige Media Group, Bohemian Trails, and iVive H2O. An avid fashion maverick, she styled for fashion designer Shekhar Rahate at the Brooklyn Wave Fashion Week and went on to judge the preliminary for Miss America assisting with the selection of Miss Long Island Metropolis, Miss Southern NY and Miss Westchester. Olga is not only a fashionista but a published poet and model, serving as campaign model for Huntress Stiletto fragrance by Epiphany and Body Up Pro hair brushes. For her contribution to the fashion industry, Olga won the Glam Sense Award on December 2011. 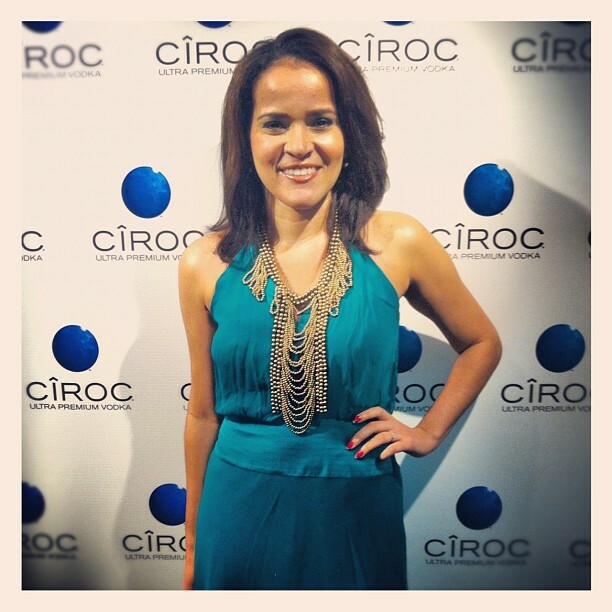 Olga is a part-time correspondent for iVive H2O, where she conducted backstage and red carpet interviews at the Latin awards – Premios Latinos – and covered My Lifestyle Magazine’s 4th Edition launch event for Revenge Fashion Magazine. She’s also a published writer for Livid Magazine. Being civic-minded, Olga belongs to JCI (Junior Chamber International), a non-profit organization dedicated to creating positive change, and enjoys assisting non-profit organizations including the Reginald F. Lewis Foundation, Milagros Day Worldwide, and Casa Esperanza. Olga is also part of the Inspiring Lives team by Dr. Shellie Hipsky. Olga’s independent spirit and fast-paced lifestyle led her first to Miami and then New York City after arriving in the US from Puerto Rico. Learning English and quickly acclimating to American life, Olga’s determined and original personality led to climbing the Covadonga Mountain in Spain and the Great Wall of China….in heels! Beautiful and focused, with a personal mantra of “Living my Dream in Heels”, Olga is a creative force to be reckoned with. I am honored to be part of your circle Olga and grateful that you are a voice…for those who have no voice!